from our store to your home. 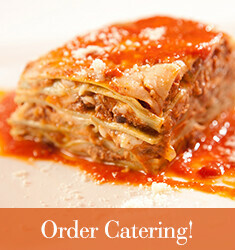 offer a first-class catering solution to meet your needs. From 1925 to the present! families for over the course of 85 years! Some things are just no brainers, like knowing you can always find a lot of organic food at our local country market! Some people like to spread a good thing! Great food market in North Stamford! "Deli has great product, hot food made daily and a creative and delicious sandwich and panini menu. Butcher and fish monger who know their stuff and can get what you want. Fresh produce. Friendly staff who aim to please. Recently renovated to bring into 21st Century with old world charm and service." - Sarah B. We feel like part of the family when we walk in the door! "A top notch deli, great produce and regular new and exciting foods make the newly renamed LaRocca's Country Market the best in town!!" 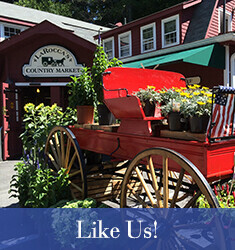 - David R.
A great local food market that carries everything. "Great place. Recently redone to incredible success. Very friendly employees, owned by a local family. Great food, great products, good prices." - Michael D.